Picture this: It’s a cold and blustery day and inside a small room away from the rain and the wind sit a handful of storytellers, artists and other wild ones. This is the start of a story filled with smaller stories, and how each of them is made. 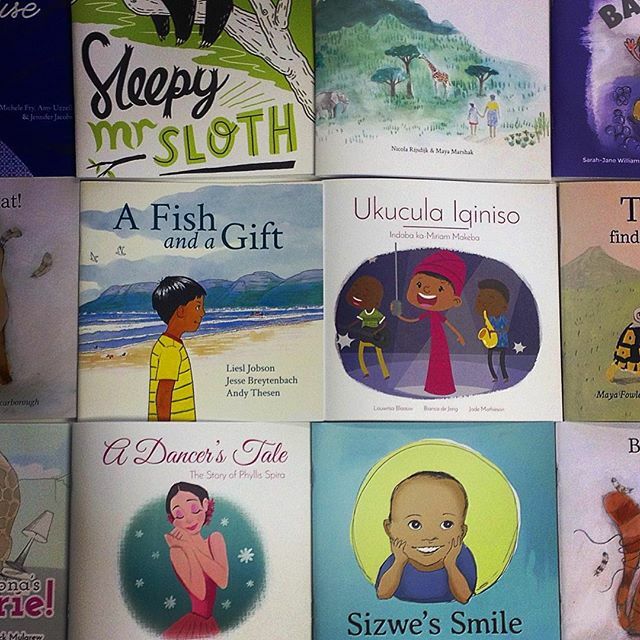 The tale of Book Dash’s second ever visit to Joburg. Never heard of Book Dash? 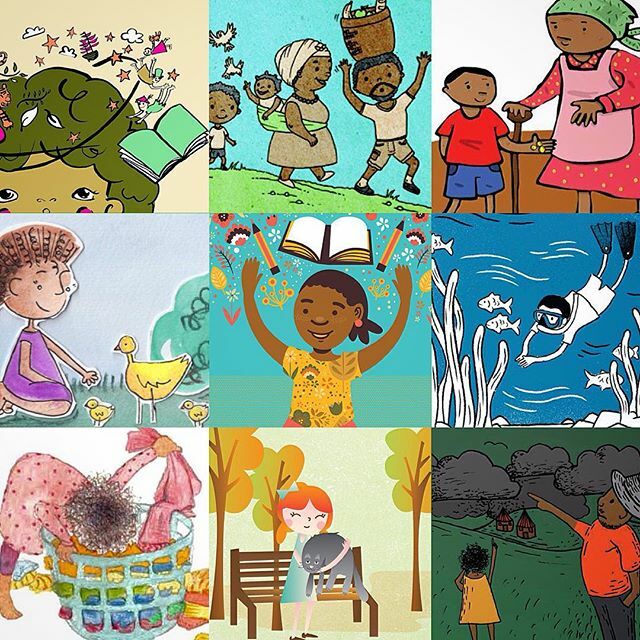 They’re the organisation who bring together teams of voluntary creative professionals in an effort to create new, African children’s books that anyone can freely translate and distribute. Furthermore, they do all of this a single day, aiming to rapidly speed up the lengthy and often exclusionary traditional method of publishing. The dream, says the Book Dash team, is to get every child to own a personal collection of at least 100 books by the age of five. This may seem an impossible task until you see one of their events in person. The most recent Book Dash, in fact, was a perfect example. Taking place at the Goethe-Institut in late February, teams of designers, writers, editors and illustrators came together for 12 hours of non-stop bookmaking. The atmosphere was a lively one, with a constant supply of snacks, coffee and juice, and a carefully curated playlist, sounding out in the background. Around each table sat bowed heads, everyone furiously typing, clicking and sketching away. After all, the clock is ticking and there are still so many books to be made. It was a notable Book Dash too. This event saw the team fly in writers from a number of different African countries to produce new, far-reaching stories for an even wider audience of young readers. It’s an ambitious task they’ve set up for themselves, but it’s been hugely successful. Since starting out in 2014, Book Dash events have taken place all over the country, ranging from larger cities such as Johannesburg and Cape Town, to smaller towns like Grahamstown in the Eastern Cape. They’ve published over 60 original storybooks so far, all of them free and available for download, and they plan on publishing far more. For Attwell, and for the rest of the Book Dash team too, reading really goes beyond being a skill – It’s more of a superpower. For the volunteers, the mentality is much the same. According to layout designer Hannah Shone, the books she read as a child were a tremendous source of wonder and inspiration, in terms of both storytelling and illustration. For Nigerian children’s book author Ndidi Enenmor, reading books as a child was a magical experience, and it’s now one she aims to reproduce for younger generations. Outside the rain dries up, makes way for the fog to roll in, and as the sun goes down in Joburg, everyone inside soldiers on – typing, drawing, painting, and making stories. Another successful Book Dash has come and gone, and another collection of stories has been published. If you’re interested in reading them – for yourself or for anyone else – all you need to do is download them. All images courtesy of Book Dash. I am doing volunteer maths teaching at a tony village school in Haenertsburg, Limpopo. There are presently 3 classes catering from Gr 0 to Gr4. They have a small library but not many of the book are suitable for that age group. Can you help. You can contact the Book Dash team at team@bookdash.org or visit their site bookdash.org to download their books for free.